Spanish brass and glass hanging lantern. 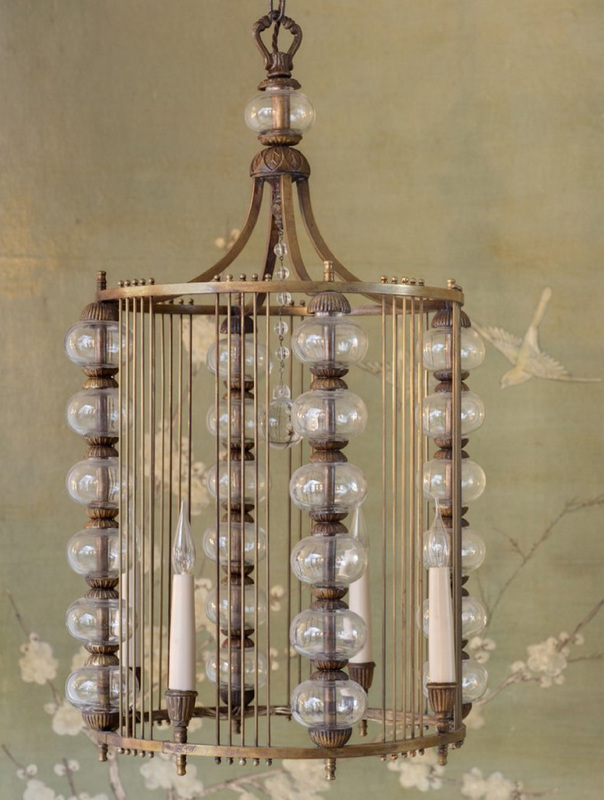 Made to order antiqued brass and hand blown clear glass hanging lantern. Can be made to any size (standard size shown below). Available with either brass, silvered or bronzed metal frame.